Did you know that YouTube is the second biggest search engine? Yes, it is; next to Google. And would you know the value of ranking high on this video search engine? With this, brands and companies must not treat YouTube as a social site for videos because apparently, it’s that and more. The widespread reach of YouTube alone must not be overlooked because it means a higher potential to reach the target audience. About a hundred hours of video are uploaded on YouTube every minute. Viewers need to wade through literally thousands of videos to find your video content. 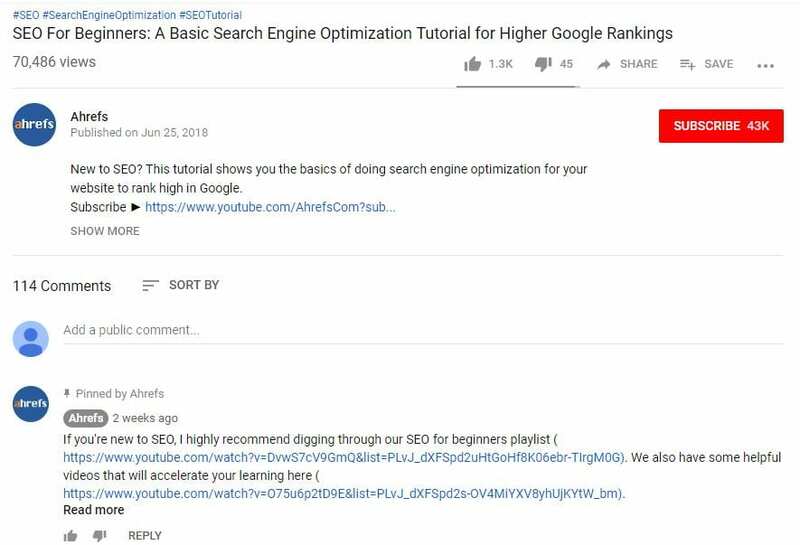 This is where the role of YouTube SEO comes into play. A video keyword research, more precisely, is what you need to do first. List down your keyword ideas as your potential keywords. Narrowing down your target keywords is like narrowing the pool of competition. Also, the proper use of the right keywords contributes to the popularity–measured in views, shares and other engagement metrics–of a particular video. Do a keyword suggest analysis. Head over to YouTube and type a keyword idea in the search field. It will automatically generate a list of suggested or related keywords to what you just typed in. 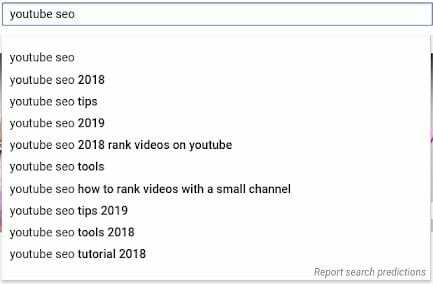 You have a higher chance ranking on these keywords because these are the keywords real users typed in when searching for ‘youtube seo,’ for example. If you already have a YouTube channel, check the dashboard. Click Analytics. Go to Traffic source then, click YouTube search (on Creator Studio). These are the keywords that people use wherein one or more of your videos are displayed on the results page. You may be already targeting these keywords, but they can also reveal some that you missed out. After generating your list of keywords, the next step is to choose the best ones. Focus on low-competition keywords as they have a higher chance of giving you more subscribers and, of course, views. If possible, check each keyword on Google. Type in the keyword and note which among the keywords have video results. Create a video and optimize the video around that keyword. With this, it would have a higher chance of getting click-throughs. Google reserves 1/10 of the screen real estate to video results. It means getting higher traffic than what YouTube can provide. So it’s worth paying attention to the monthly search volume of the keywords you choose for your videos. To be successful in video marketing, people must watch your videos and act on what they’ve watched. It is useless to create a video no one will see. Definitely, the video that you need to create must resonate best with your target audience. Look at your niche and what pain points your target has and address them on your videos. That’s the goal, a difficult goal to accomplish at that but not impossible. YouTube is big on retention, or how you keep your viewers on the platform, watching more videos and clicking ads. Thus, the term “high-retention video.” Make your videos as interesting, captivating, and valuable. Why? It’s because people can judge the quality of your video in just 10 seconds, and leave if they deem it invaluable. 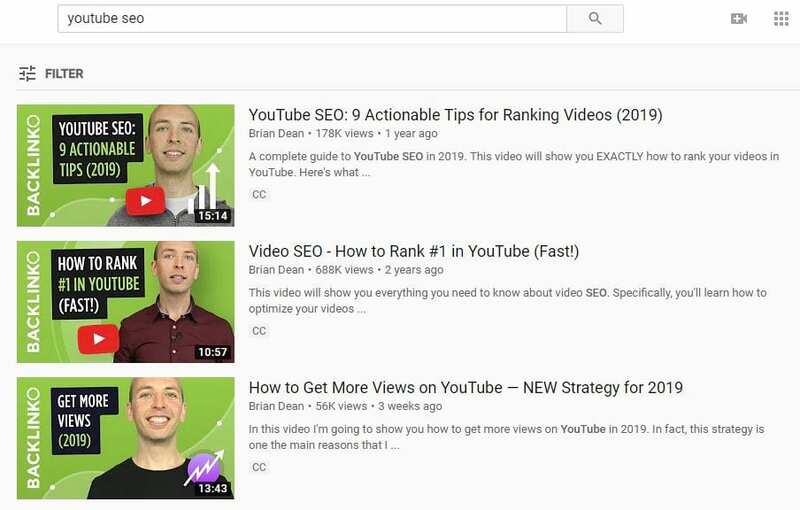 Bottom-line, regardless of how you applied your knowledge of YouTube SEO optimizing your videos to show them on results, no one will watch them if they don’t offer any real value to the viewers. 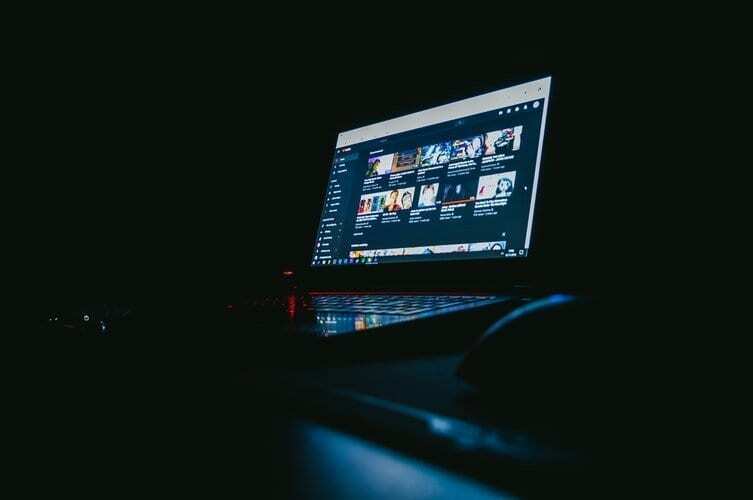 If you don’t have any idea what video content format you should consider producing and uploading on YouTube, go to your competitor’s channel. Click Videos and then, click Sort By. Click Most popular. Now you can check which videos of your competitors perform better based on the number of generated views. Take heed, be inspired; but don’t copy their content. Imitate the content strategy if you, though. Do a search now on YouTube and notice how the top results optimize their videos around the keyword you typed in. Check how other videos are optimized, although the basic are the title, description, and video tags. You need to create compelling titles and thumbnails that highlight the content of the video itself. Video titles should be at least five words long. Include the full keyword on the title as well probably at the beginning of the title. Video description adds context, so it’s better to put clear descriptions. Include the keyword in the description, in the first 25 words. Mention it at least 2x in the description. Also, make the video description up to 250 words. Bots, crawlers or spiders cannot view your video, so the description would be really important when it comes to ranking. Tags also help in terms of discovery. Make sure that the first tag is the target keyword (exact match). Include as many tags as possible about or related to the content of the video. 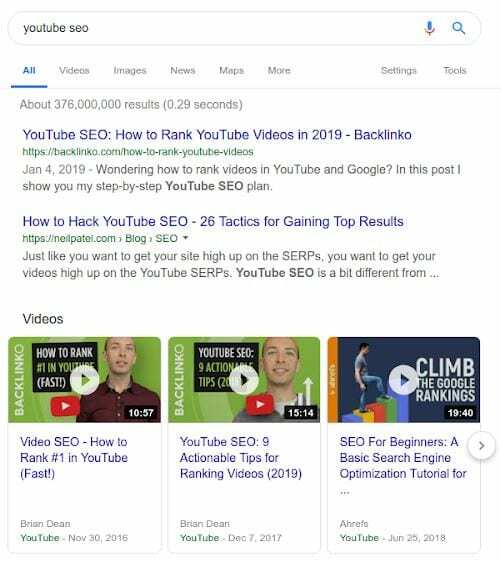 For example, in ‘youtube seo’ keyword, you may also use “video marketing,” youtube marketing” or “how to make a video that every SEO will watch.” This also helps YouTube identify and show your videos on the Suggested videos sidebar. Also, mention the target keyword on the video itself. 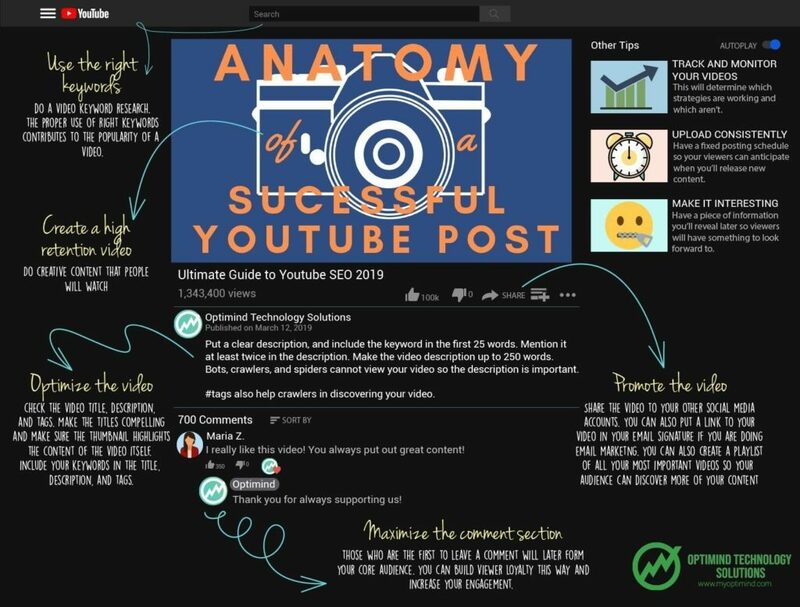 YouTube transcribes videos automatically, so if you mention your keyword on the video, it has a higher chance of appearing (and staying) on results for that particular keyword. There are several ways to promote your video on the platform itself and other social media channels. On YouTube, this is a paid feature called “boosting.” Not every brand or company has the money to choose that path, so some link building strategies would certainly help. On YouTube, you can create a playlist where all your most important videos are in one place. However, this only works for channels with several published videos. First is promoting through Q&A sites such as Quora. 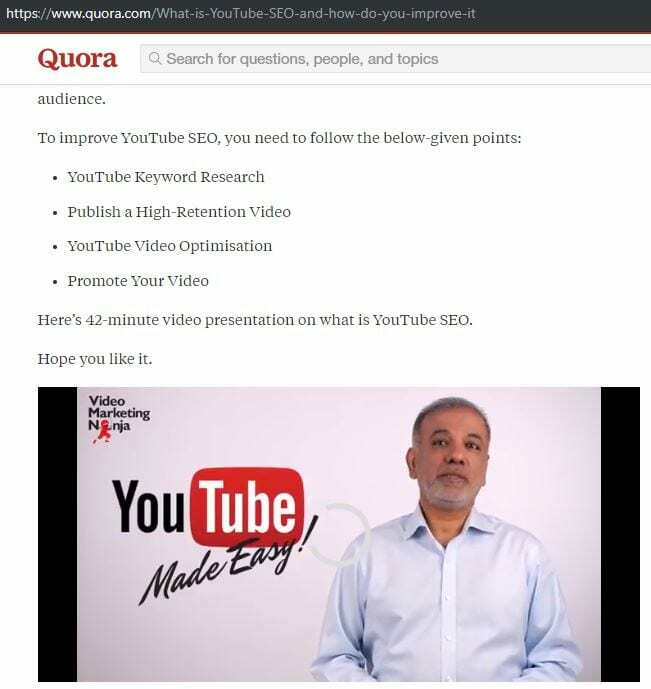 Find relevant questions and post your YouTube link as you answer those questions. Don’t spam, though, because Quora can easily detect that. Second is putting it on your email signature. If you are not doing email marketing, your next best choice is the email signature especially if you send more than 100 emails every day. Third is through embedding the video in articles and blog posts. You can do it on your own blog or another website’s blog as a guest post. Self-promotion is a welcome idea when it comes to video marketing. One way to do this is through building a following. After all, the number of followers/subscribers is one of the ranking factors. Maximize the comment section. Notice who among the viewers are the first to leave a comment–this forms your core audience. Respond to them immediately. This works in two ways. First, you build viewer loyalty and second, you help increase the total number of comments which, in turn, is a form of engagement. This also gives off an impression of popularity. Building a community around your video content also means taking it out on YouTube and to social channels. Consider a social blast once the video is up on YouTube. Encourage other people to embed it on blog posts and press releases, if possible. Speaking of social, encouraging social signals is crucial part of the promotion. It could be as easy as asking your followers and audience to share the video so more people may get to see it. Again, don’t forget to add tags to your videos. Tags will help in displaying your video for the searched keyword. Tracking and monitoring are always part of the SEO equation even on YouTube. Straight from the dashboard, you can check how your video is performing. Monitor the YouTube analytics to determine which strategies are working to your advantage and which you need to discard in favor of new experiments or tactics. SEO’s constituent elements remain the same throughout the year. In the same sense that Google did not reveal what SEO ranking factors, experts rely on experiments and experience when it comes to determining YouTube SEO ranking factors. Indeed, there is no official list whatsoever, but below are the most important ones. Audience retention is one of the most important YouTube SEO ranking factors, if not the most important. Your goal should be achieving 100% or the closest to this number. Videos with the highest audience retention rates also appear on both Search and Suggested videos. This is the counterpart of backlinks on Google so, yes, you need to watch this. Audience interaction (or engagement) is a ranking signal. This includes video comments, subscriptions, video shares, click-through rate, thumbs up/thumbs down, video length. All these send a message that the viewers are engaging with the video content and want to see more from that channel. Comments correlate with ranking; more comments mean higher ranking on the platform. Ranking boost is also possible through a higher number of shares on multiple platforms. Social shares mean more people watching videos on YouTube. 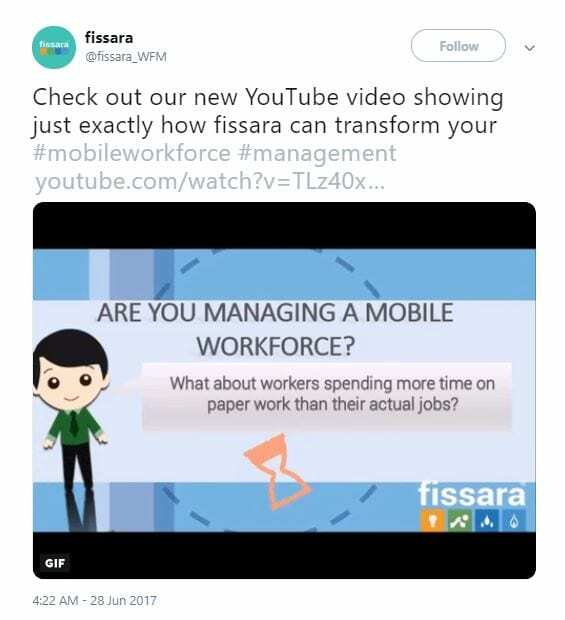 As a user behavior, clicks on a video represent the number of people that click on a specific video when it is displayed on the results page. As always, in SEO, the higher the CTR, the better. Thumbs up and thumbs down reflect user behavior toward the videos or the content of the video. Getting more thumbs up is the goal especially that thumbs up to thumbs down ratio is also considered as a signal. Word count is the Google equivalent of video length (i.e. long-form content). In YouTube and Google, longer videos rank higher and better than short videos. As explained above, video title is an important ranking factor. The title must include the keyword. A well-thought-out video description includes 250 words at the very least and the target keyword as well as relevant links. This will drive not just ranking, but also traffic to those links. Descriptive video filenames that are indicative of the content tend to rank high on YouTube. Tagging is important in YouTube. All videos must include tag(s) and the first tag should always be the target keyword. The platform allows the use of as many tags, but this should not be spammy. Since these are text, subtitles and CC are crawlable. Make your video content accessible to bots and spiders. These will also help viewers with hearing impairments and from foreign countries. Thumbnail, which is like a preview of the entire video, is not necessarily a ranking factor, but a signal that drives CTR. The decision whether to watch or skip your video may depend on this. The above ranking factors are applicable for the videos. 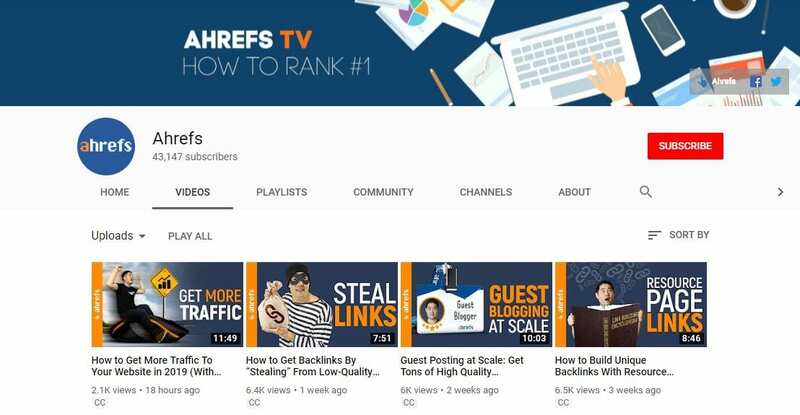 At the channel level, however, there are other YouTube SEO ranking factors to consider. Create an open loop or a piece of information that you will reveal at the end of the video so that viewers has something to look forward to. Ask people to subscribe, leave a comment and/or watch more videos from your channel at the start and before the video ends. When a viewer leaves a comment, don’t forget to reply to it. Take it one video at a time; don’t cram generalized content in one video. Make videos playlist-worthy to increase ranking and thus, engagement. Boost your channel by uploading quality videos on a consistent basis. Use video annotations properly and sparingly. Choose descriptive video titles that compel the viewers to click on it. Optimind Technology Solutions offers video marketing solutions. We can help you create successful marketing materials, attract and, at the same time, educate potential customers, make the people aware of your brand and, of course, increase sales.